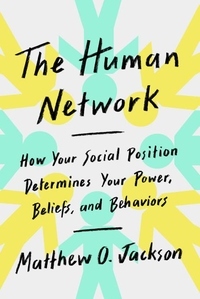 Here is a fresh, intriguing, and, above all, authoritative book about how our sometimes hidden positions in various social structures--our human networks--shape how we think and behave, and inform our very outlook on life. Inequality, social immobility, and political polarization are only a few crucial phenomena driven by the inevitability of social structures. Social structures determine who has power and influence, account for why people fail to assimilate basic facts, and enlarge our understanding of patterns of contagion--from the spread of disease to financial crises. Despite their primary role in shaping our lives, human networks are often overlooked when we try to account for our most important political and economic practices. 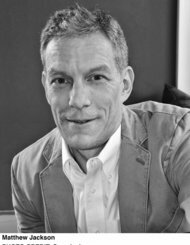 Matthew O. Jackson brilliantly illuminates the complexity of the social networks in which we are--often unwittingly--positioned and aims to facilitate a deeper appreciation of why we are who we are. Ranging across disciplines--psychology, behavioral economics, sociology, and business--and rich with historical analogies and anecdotes, The Human Network provides a galvanizing account of what can drive success or failure in life.